Prevention is always better than a cure, and not least when it comes to your boiler. With something in the region of 12 million central heating boilers breaking down every year, it’s worthwhile implementing a few basic checks. Not least because they account for 60% of what we spend on our home energy bills every year. Giving your boiler the once-over could help save you hundreds of pounds in repair bills – or thousands, if you end up needing a boiler replacement. If your boiler is 10 years old or older, it’s generally more susceptible when it comes to developing faults. And if it’s not breaking down, it’s probably not going to be running very efficiently. 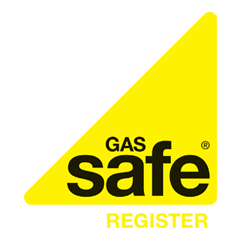 A boiler can stop working if the pressure drops, so don’t forget to check the pressure regularly. Bleeding radiators and making sure pipes are well insulated to prevent them freezing can also help keep your system working efficiently. “Homeowners don’t pay attention to boilers in the summer and it can be tempting to call an ­engineer at the first sign of trouble,” said Emily Stagg, from npower. On average, you’re looking at £60 call out charges if you do need the services of a plumber, with average boiler repairs costing in the region of £250.